Category Archives for "Teaching tips"
Have you been stumped by the "pencil dilemma"? You know - trying to figure out how on earth to ensure your students have pencils without spending half your salary supplying them? You can grab a pack of golf pencils here. p.s. Did you know that our unit reviews help students succeed in a variety of ways? First, we provide quick review videos, which allow students to refresh any topic they need in only about 2-3 minutes. Next, students have a chance to practice each type of problem to build their skills and work out any confusion. Finally, our guided review builds study skills by providing a checklist of important terms and concepts. Students can mark off concepts they already know and work through the checklist until they're fully prepared and confident. ​Check out the guided review in our FREE integers unit here. The complete guided review is included in each of our pre-algebra & Algebra 1 units - or save even more with the full curriculum! Grab more MathLight units here. **This article may contain affiliate links, which means that if you make a purchase after visiting the link, we receive a small commission at no additional cost to you. Thanks for your support! Every math teacher has scratched their heads and wondered, "where on earth did they come up with that answer?" But that's actually a super important question, right? If we can figure out why they arrived at the wrong answer, we can help correct their misconceptions and get them to the right one. But how exactly do we do that? 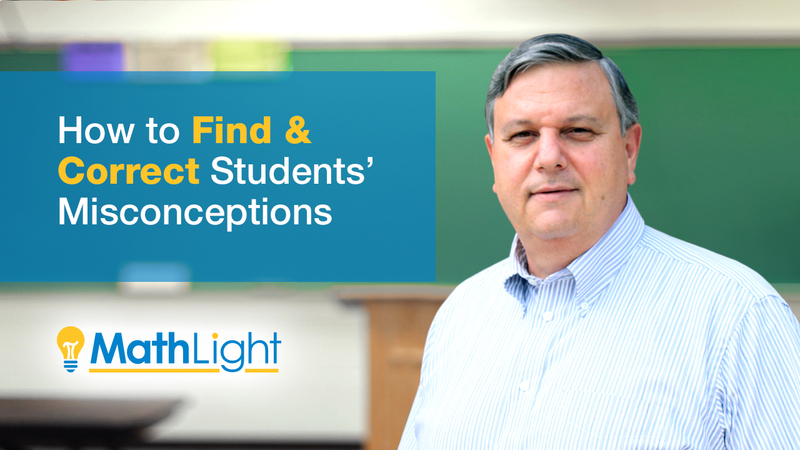 Here at MathLight, we try to point out common misconceptions as often as possible in our pre-algebra and Algebra 1 videos. And we reinforce the correct methods with our accompanying student notes. 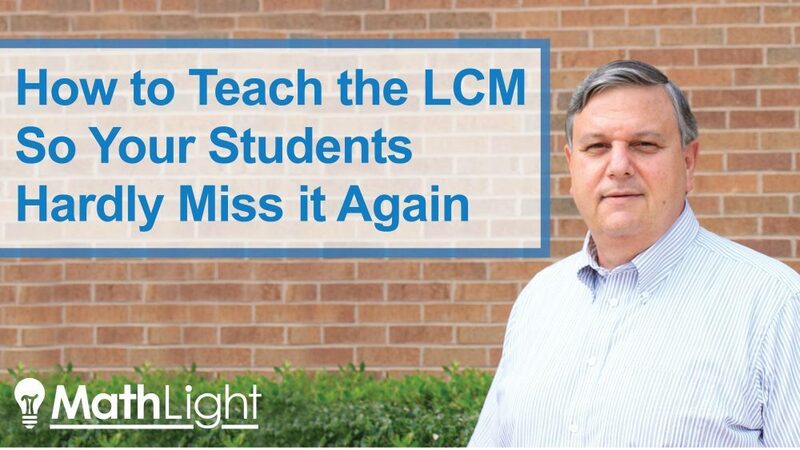 Our teaching videos and notes can help in a variety of ways - from flipping your classroom to easy sub plans to helping catch up absent or struggling students and more! You can grab video lessons individually - or save with units or the full curriculum. Grab video lessons with notes here. Try out video lessons for free here. Recently, a pre-algebra student came up to me and said, "Wow, that really helped! I get it now." Music to any math teacher's ears, right? I absolutely love these quick review videos - and I know you will, too. They make it so easy to review concepts - whether as a group or for students to use individually. All of our pre-algebra quick review videos are currently available for FREE on our site. Click here to get access to all our pre-algebra quick review videos. They're also a key part of our full pre-algebra curriculum and are included in all of our pre-algebra units. The Algebra 1 collection is almost complete as well. Get all the quick review videos in our full Algebra 1 curriculum, or grab individual Algebra 1 units. Please Excuse My Dear Aunt Sally is a great way to help students remember the order of operations. However, it has one big flaw. A flaw that, if we're not careful, can result in quite a few mistakes - and a whole mess of confusion & frustrated students. The confusion comes when students assume that since M comes before D in PEMDAS, then multiplication must come before division in order of operations (same thing with addition and subtraction). To combat this, we must emphasize to them that multiplication & division go together in the same step. So do addition & subtraction. With this simple tweak, our students should be able to use PEMDAS to remember the order of operations without any problems! p.s. We have a great FREE order of operations activity for you to try out with your students! It's a group activity where students first use order of operations to solve problems individually. Those answers reveal clues to the group's logic puzzle which they then work together to solve. Do you ever feel stuck as a math teacher? Not quite sure how to get your students to understand a certain concept or frustrated about various classroom issues? 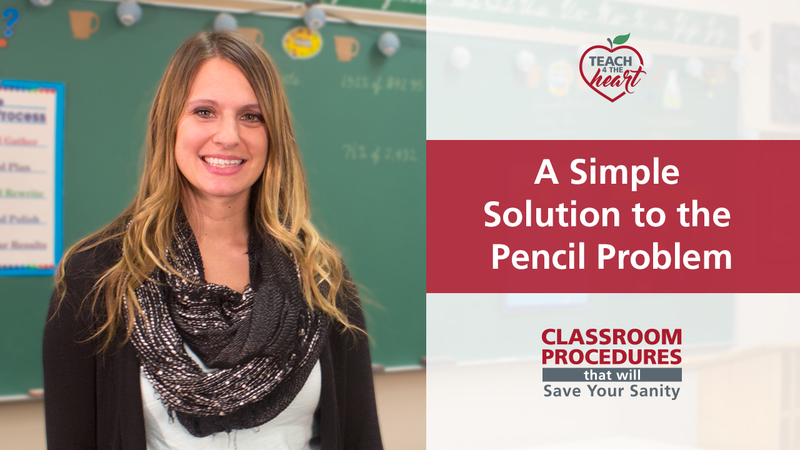 In this video, we share a simple question that can help reframe all of these challenges and put you on the path toward workable solutions - solutions that will benefit both you & your students! Because we all know that our greatest goal is to see our students succeed - and asking this simple question will help you do just that. Get a FREE set of Algebra 1 bell ringers. Video lessons can not only make your life as a teacher so much easier - they can also be a tremendous help to your students. The best news? Right now you can try out some of our best videos for FREE! ​Click here to get FREE pre-algebra video lessons. You can also grab individual video lessons with accompanying guided notes OR save even more money with our unit bundles. Click here to grab individual video lessons or unit bundles. Ever wish you could snap your fingers and your students would automatically understand the concept you're teaching? Well, I don't know about snapping your fingers, but if you use this simple chart, your students are sure more likely to understand how to find the GCF. p.s. If you're loving MathLight, check out our full pre-algebra & Algebra 1 curriculums. Ask your administrator if you can use school funds - they're a phenomenal deal! When your math students have their own set of notes, they have something to look back on to help them remember how to solve problems. p.s. You're probably thinking right now that this would take FOREVER to create. 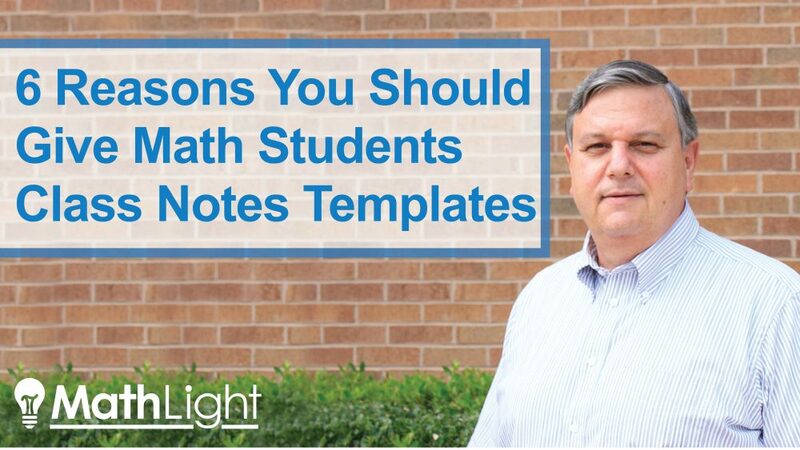 But good news - We provide notes templates for every lesson in our MathLight curriculum. Well, what's not always obvious to our students is that they sometimes give ridiculous answers. Say, for example, the problem asked them to figure out how quickly Elliot ran the marathon. They run the numbers and come up with their solution: 825mph. If they'd just stop and think for a minute, there is no human possibility that Elliot ran at a rate of 825mph. I mean, unless he's secretly Superman or something. 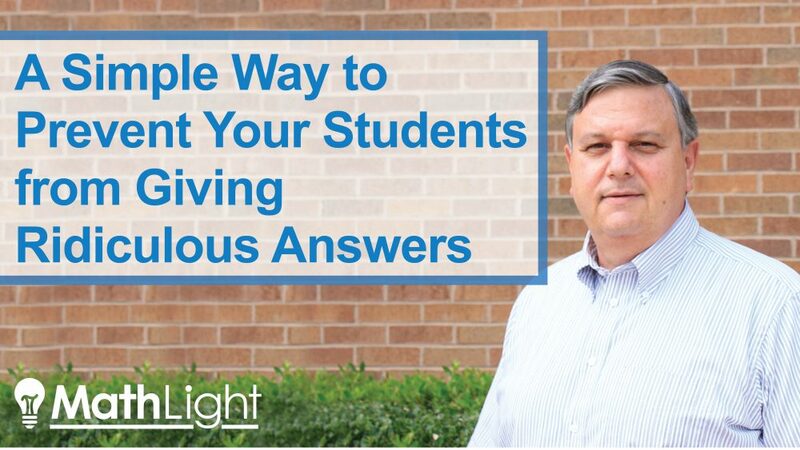 So how do we get our students to stop & think about their answers? 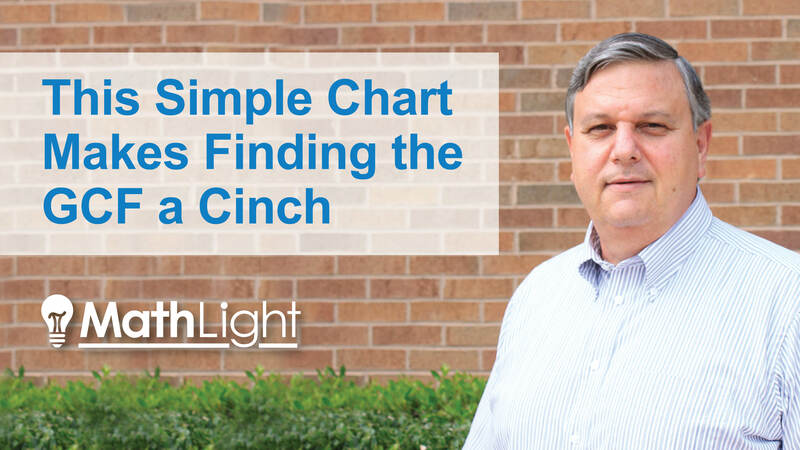 The simple acronym DMAMS can help you do just that. Throughout our video lessons, we use tried & true teaching techniques like DMAMS to help students better understand math. You can use the videos in a variety of ways - to flip your class, catch up absent students, provide support for struggling students, supplement (or replace) your own lectures, and more!